Pakistan turns 70 today and everyone is celebrating Independence Day to show their love with their beloved country. Google doodle also shows love for Pakistan every year through various beautiful ways. 14th August 2011 was the first time when Google finally took a step forward to show doodle of Pakistan Independence Day. Since 2011 Google shows beautiful doodles representing Pakistan Independence Day. Every year they use a new way to represent Pakistan that includes our culture, monuments, animals and sometimes heritage. 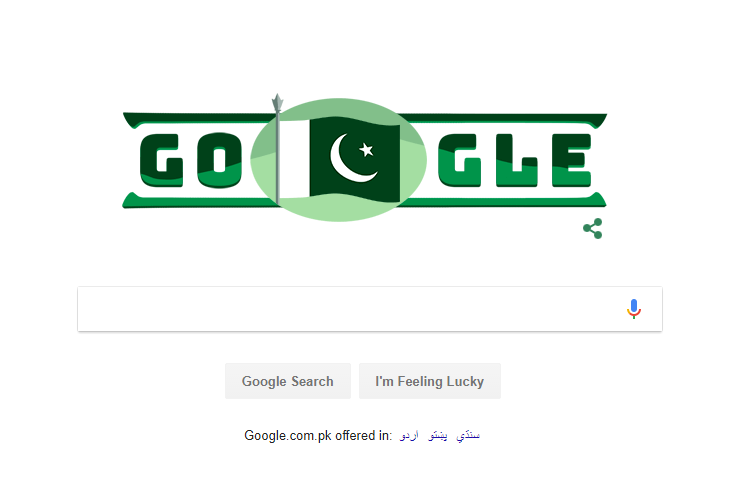 This year Google has taken our flag to celebrate 70 years of Pakistan Independence.